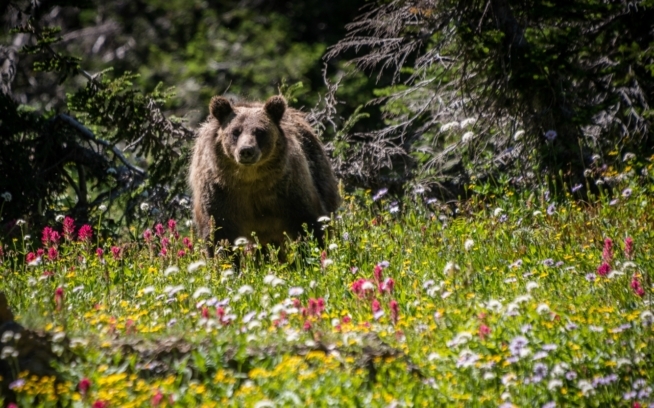 Louisa Willcox has advocated for preserving wild places and wildlife, including grizzly bears, for over 30 years. She served as Senior Wildlife Advocate forNatural Resources Defense Council, Grizzly Bear Project Director for Sierra Club, and Program Director for Greater Yellowstone Coalition. Louisa also served as Field Studies Director for Teton Science School in Jackson, Wyoming, and as a senior instructor for the National Outdoor Leadership School for a number of years. In 2014, she was given a lifetime achievement award from Yale. She lives with her husband, Dr. David Mattson, in Livingston. Montana.